Cycling continues to grow in popularity world over, and this is apparent on any weekend in Bayside. 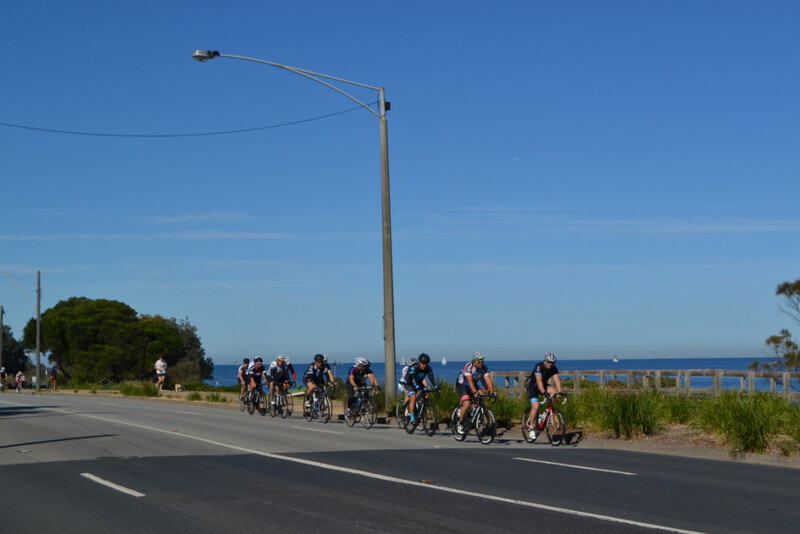 Walk along the Bay Trail or any stretch of Beach Road within Bayside’s boundaries and you will see no shortage of recreational cyclists all the way up to professional triathletes pedaling along by Port Phillip Bay. Bicycles, their use, and the debate surrounding their use and proper place within the roads ‘ecosystems’ is not new. Yet, events of recent weeks have given a renewed urgency to the discourse. Two accidents, one at the corner of Dendy Street and Beach Rd in Brighton on March 21, and the other purported to involve a member of the Hell Ride group on March 7 – the name for a Saturday morning ride infamous for apparent collisions and incidents with other road users – has seen debate with a renewed urgency in the community and wider Victoria over the relationship between cyclists and other users on our roads. The corner of Dendy St and Beach Rd, Brighton where the March 21 accident occurred. funding required by successive Victorian governments to provide improvements to address Beach Rd is yet to follow. “As the popularity of cycling has grown, the number of cyclists using Beach Road has grown considerably over the past decade and there has been a significant increase in accidents involving cyclists along this corridor”, Cr. Federico said. The 2011 census offered a window into just how much cycling has grown, confirming the rise in the use of bikes as a form of commuter transport across Bayside. In 2006 it was reported 554 Baysiders traveled to work via bike. In 2011, it was 711, a growth of almost thirty percent. Therefore, while the number of cyclists has grown, the infrastructure that accommodates this growth and ensures safety has largely not followed on from this. Too many minds, the ‘elephant in the room’ for cyclists is the Bay Trail. The dedicated bike and pedestrian line that runs parallel to much of the road along Port Phillip Bay is often pointed to as a alternative to riding in a shared space with cars and other vehicles. Yet, to cyclists this often in inadequate or unsafe, for alongside many cyclists feeling weary of risking damage to their bikes -which are purpose built and designed exclusively for road use -there is also the inability to travel to a comparable speed to use on the road. This is because the Bay Trail is also used by pedestrians, who alongside being comprised of other cyclists – including young children on bikes – it can also include walkers, runners, parents with prams and others using equipment such as scooters. Further, there is also the need to anticipate swimmers and others beach-goers who may be crossing the path from Port Phillip Bay to Beach Rd at any given time. While it understood many cyclists do use the Bay Trail when it is in little use – such as in the earliest hours of the morning – due to the preceding factors, many view the road as the exclusive option in the main. In turn, though some dedicated cycling improvements have been seen along Beach Rd – such as the recent addition of a dedicated green lane for cyclists along the Black Rock Clock Tower – it has also come with controversy, with some cyclists saying a dedicated lane is impractical for right hand turns and actually encourages driver inattention. Though this criticism perhaps has currency, the debate on how best to enhance road safety for all users is complex. Tony Morton, President of the Public Transport Users Association, acknowledged the issue is one with no ideal nor easy answers. “Good design accepts all these uses as legitimate while recognising the reality of conflict and the unique hazard posed by fast and heavy vehicles”, Mr Morton said. In spite of this, Mr Morton underscored it is an issue not just confined to Beach Rd, but wider Melbourne. Chad Mills, Store Manager at Omara Cycles – whose store is located on Beach Rd and regularly sees peletons go by his Black Rock shop – feels the chief answer is one that may be the hardest to arrive at: time. In particular, Mr Mills feels it is a question of culture, and the need for Australia to continue to progress towards a greater incorporation of cyclists within our road sense. “With this group becoming more popular and diverse – and with the rise in popularity in cycling as a whole – we need a cultural shift towards rider safety – and that’s ALL riders, not just the people rubbing shoulders with you”, Mr Mills said. While the longer term shift to a greater understanding may be chief in Mr Mills mind, he also feels much can be done in the interim, and commends Bayside City Council for recent improvements that he feels has improved cyclist safety. “They have recently modified the intersection leading onto the clock tower roundabout. This is a great move that separates cyclists.” said Mr Mills. Yet, Mr Mills does acknowledge more could yet be done. This question of culture is something Peter Scalzo also identifies as an issue. Mr Scalzo, a builder and recreational cyclist spoke to The Bayside Citizen early Saturday morning by the Black Rock Clock Tower. A peleton sets off from Black Rock on Saturday morning with the dedicated cycling ‘green’ lane visible in foreground. “I think both cyclists and motorists need to be more patient with each other and display a greater awareness of their surroundings”, Mr Szalzo said. While acknowledging improvements can be made by both sides Mr Scalzo did affirm Mr Mill’s comments that it is perhaps largely a question of culture and time, and in particular pointed to the growing outcry surrounding the hell ride as difficult to turn into meaningful action. Mr Scalzo’s remarks appears to have some credence, for while there is perhaps some currency in the idea of limiting the size of peletons – as called for locals such as Adam Walsh of the Bayside Triathlon Club – many feel cyclists in general have become an easy target for ‘catch all’ criticism of non-car users on our roads. John Eacott, spokesperson for the Victorian Motorcycle Council, feels oftentimes non-car road users receive a ‘second tier’ treatment when compared to motorists. “A lot of the time, motorcycles are treated purely as a road safety issue rather than as part of a cohesive transport policy”, Mr Eacott said. This issue is one that is very real both for cyclists, motorcyclists and wider road use in Victoria. Indeed, Mr Eacott feels the safe accommodation of motorcyclists on road very much bears a similarity to the question of culture outlined by Mr Mills and Mr Scalzo earlier. “Motorcyclists are predominantly everyday ordinary law abiding people. So the popular myth and conception about motorcyclists – e.g. that they risk takers ‘here for a good time but not for a long time – is not supported by facts”, Mr Eacott said. “Indeed, last year was also the lowest rider fatality toll on record. It is my concern then that a greater awareness of motorcyclists – and accordingly a fair and balanced view about the sort of everyday Victorians and Australians the majority of motorcyclists are – has not seeped into the community’s consciousness. For Dave Jones, Manager of Public Policy at RACV Victoria, the issue is one in which all parties must work together. “In general, all road users need to take care by obeying the road rules and behaving with respect and courtesy towards each other – no matter whether they’re driving, riding or walking”, Mr Jones said. There is no easy answers as concerns the ‘Beach Rd’ issue, for indeed alongside the changing nature and dynamics of the road itself at various areas and times during the day, there is also the awareness many other communities have struggled to arrive at a good ‘working relationship’ between cyclists and other commuters on the road. Yet, is it also true the voices have fairly grown more urgent in the debate. As cycling’s popularity only appears set to grow in months and year ahead, the need for a new voice and new narrative has never been more crucial. The Bayside Citizen shall continue to monitor this issue as it progresses.